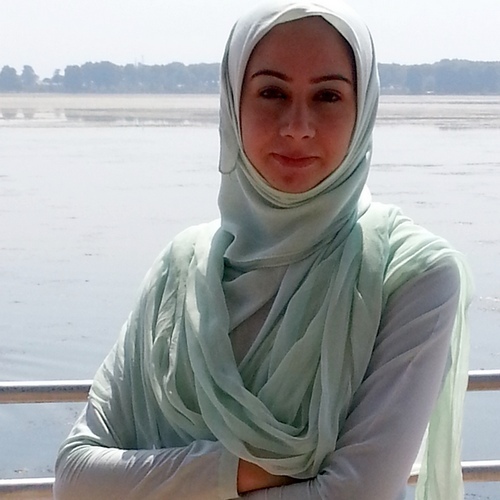 Meet Mehvish Mushtaq, the first Kashmiri girl to develop an Android app dedicated to the state of Jammu & Kashmir. When she wanted to telephone a cousin's school some years ago, Mehvish Mushtaq was lost. The school's website was down. She didn't have a phone book handy and there weren't any directory services that could help her with it. After considerable search, that included calling up the cousin's classmates, she finally got the number. Then there were occasions when a hospital's number wasn't easy to come by. Each time a situation arose, she would scramble for information. Mehvish Mushtaq stays in Srinagar where information isn't easy to come by. Telephone numbers and contact details are available but they remain scattered online. So when as part of an online course on Android application development, Mehvish Mushtaq was required to create an app, she knew just what she wanted to make. "There was an urgent need for an app that made available all the relevant information at one place. When the assignment was handed to me, I thought to myself: 'Why not make something useful?'" she says. Dial Kashmir lists out everything there is to know about Jammu & Kashmir -- from phone numbers and addresses of essential services and tourist attractions to contact details of local business and prayer timings. An update even has a gallery featuring breathtaking photographs of everything from the Char Chinar to the Dal Lake and Kashmir at its glorious best in spring. With this, the 22-year-old has become the first Kashmiri girl to have developed an Android app. It has also made Mushtaq something of a celebrity not just in Kashmir but also online. But Mushtaq still seems to be the girl next door, shy, not very media savvy and a woman of (very) few words. How has the feedback to Dial Kashmir been? You are an inspiration to many of us. In what light do you see yourself? "I am humbled... It makes me push harder to achieve something more." When you insist on her elaborating on her response about the feedback she's received, Mushtaq doesn't talk about the glittering function in Mumbai where she was recently felicitated. Instead, she recounts the time when someone was able to track down the number of a government official or that other time when someone else was able to contact the municipal corporation to remove a dead animal from the street using her app. Those, she suggests, are the achievements that really matter.